Well our RubaChip Garden Chippingshave been developed specifically to address these problems. 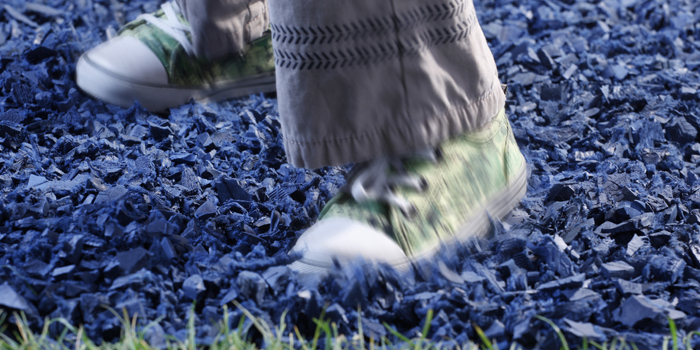 Available in 6 fade resistant, durable colours, RubaChip Chippingsare designed to be used as a loose fill Play Area safety surface or Landscape surface in exactly the same way you may use wood bark or wood chip. Unlike wood bark, however, they do not compact or rot down so they retain their original Fall Height protection throughout their lifetime. One 20kg bag of RubaChip Garden Chippings will approximately cover an area of over 1 m2 to a depth of 50 mm, which is the minimum depth we recommend. Please contact us for more advice for installation advice, recommended depths and coverage to determine amount required. These will vary dependent on usage and surface conditions of the area. 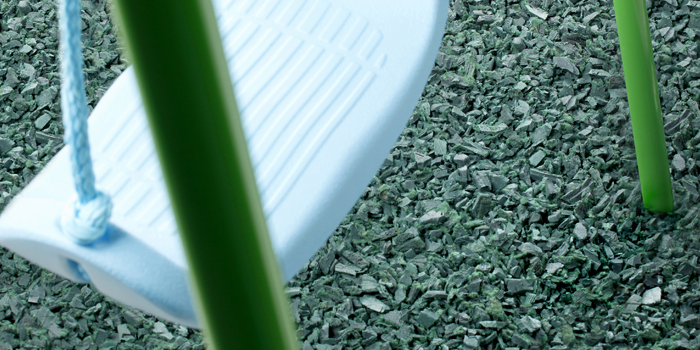 Popular uses of RubaChip Garden Chippings include play areas, trim trails, landscaping and pathways. 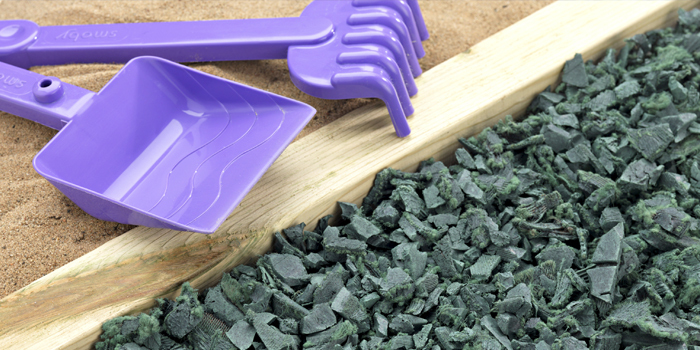 Installation is straight forward, simply dig a shallow area down to a minimum depth of 50 mm or more dependent on the amount of chippings you are using. Cover the area with a heavy duty landscape membrane and lay the rubber chippings on top. 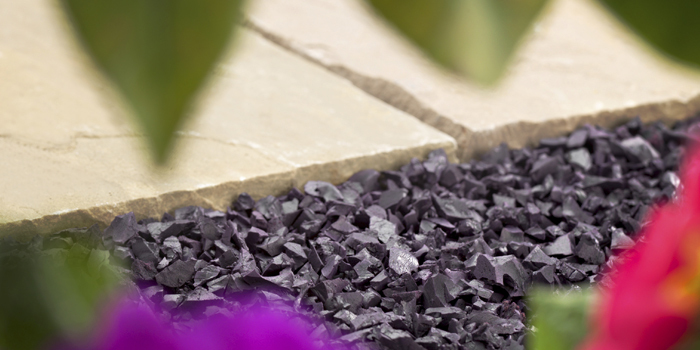 Alternatively you can create a border around the area, you can use our Rubber Kerb Edges or something similar, then again lay a membrane down before putting the chippings on top.